Custom full brick ranch on .59 acres! No step living/Lg deep private wdd lot with an enclosed private court yard for entertaining & 3 season enclosed sun rm. Custom detailing & spacious open flr plan w/vaulted & volume ceilings. 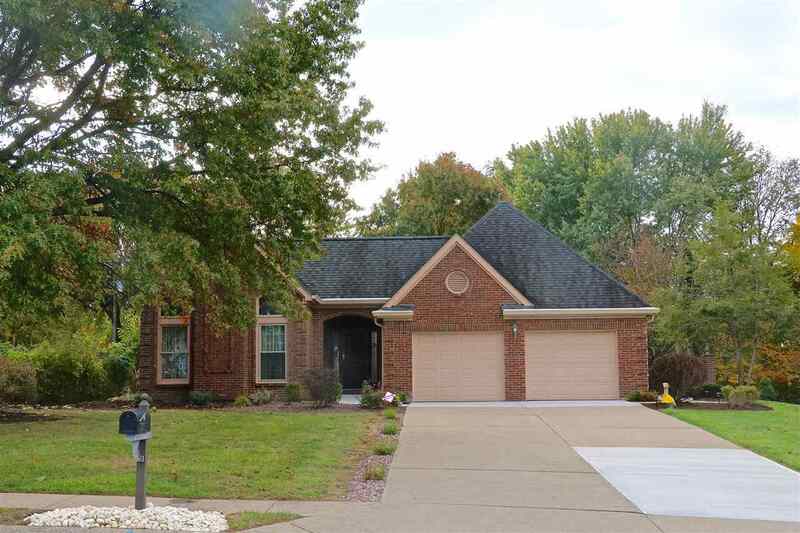 Open living rm w/volume ceilings, arched windows & wd/gas fireplace. Open kitchen w/vaulted skylight, counter bar, planning desk. Lg master w/walkout to court yard, 1st flr laundry, finished LL w/walkout, security system, updated mechanics. Directions: South On Us 42, L On Weaver, R On Evergreen, At The Stop Sign Take A L On Evergreen, R On Grace.